How do I create a Google Developer Account? How do I create an Apple Developer Account? To submit your app to the Google Play Store, please send us an invitation to your Google Developer account with administrator rights. 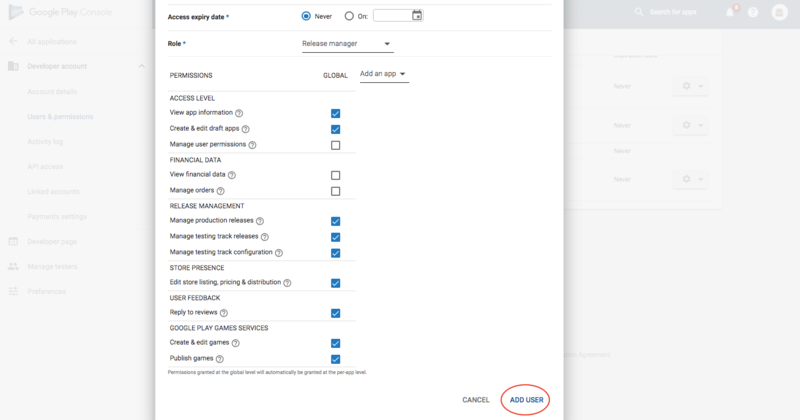 Log into the Google Play Developer Console from your dashboard. You do this under Publish > App Store > Google Play Store. There you click on Google Play invitation and then on the blue button Login. Then click on the Send invitation button. It is also necessary to create a so-called service account in order to define access rights and generate the JSON file. 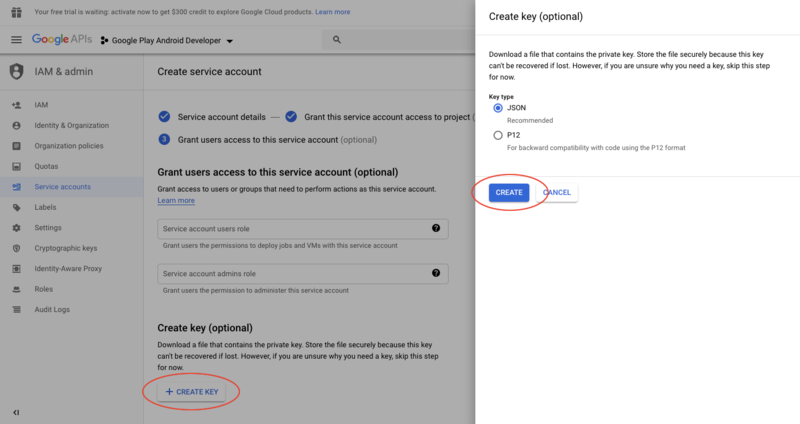 Log in to the Google Play Console and click on Developer account > API access and then on the Create Service Account button. Now click in the appearing window on the link Google API Console; not on DONE! Here you can enter appyourself. The name will only be visible in your console. You can optionally add a description for the service account. Then click the Create button. You choose the role Service Account User, which you can find under Service Accounts. Then confirm with Continue. Now you need the JSON key. 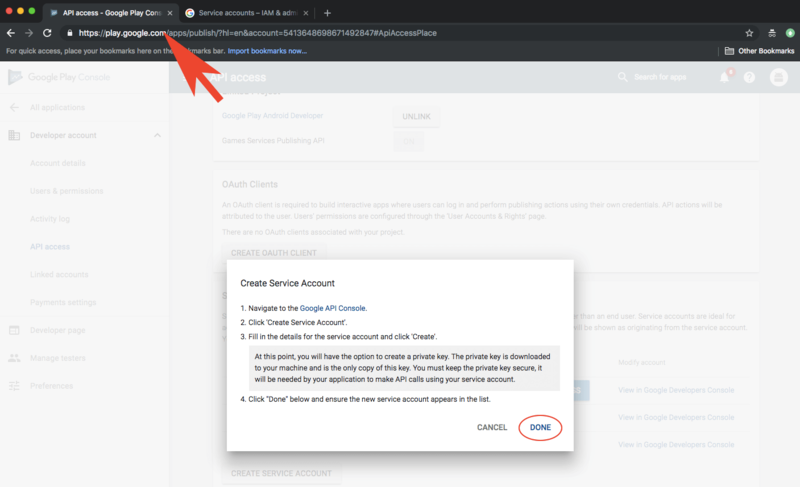 Click on Provide JSON key and then on the Create Key button (make sure that JSON is selected under Key type). Then the JSON file is generated and saved on your computer. Click the Close button and then Done. Now you can send the created JSON file via mail to support@fitogram.de. 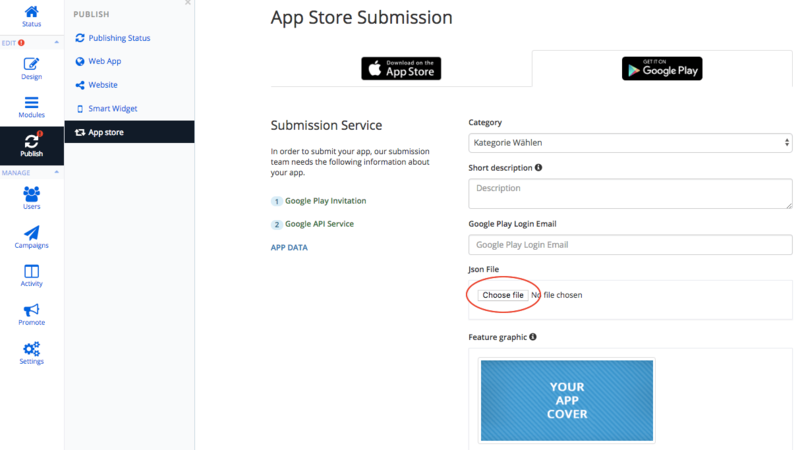 In the subject of the mail you can write "JSON file for branded app of yourstudio"
Go back to the previous website and click the Done button in the Create Service Account pop-up window. 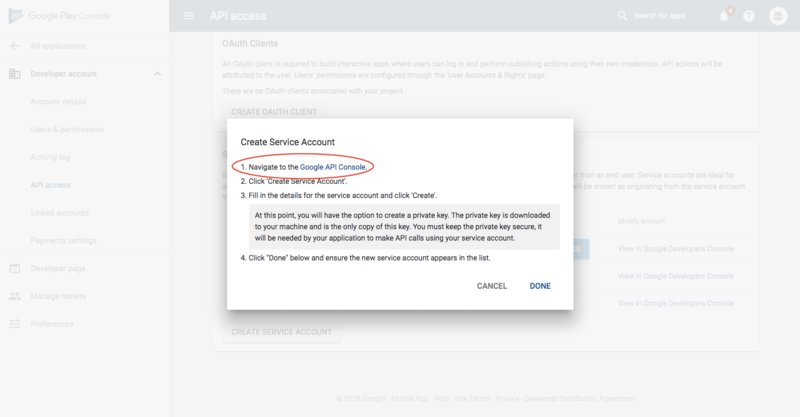 You are now in API access, where you allow access to the newly created service account (by clicking Grant Access). You can add new users by clicking on the appropriate button (Add user). The best way to create the JSON file is to use the Google Chrome or Mozilla Firefox browser.